LOS ANGELES--(BUSINESS WIRE)--Califia Farms®, best known for its innovative plant-based beverages marketed in distinctive curvy bottles, today announces it has closed another round of funding that brought in over $50 million. This round of investment has been led by Ambrosia Investments and existing investors, Sun Pacific and Stripes Group. Califia will be expanding its company-owned manufacturing capacity in Bakersfield, Calif. and further develop its go-to-market capabilities for commercializing recent innovations in Plant-Based Milks, Non-Dairy Creamers and Cold Brew Coffees, as well as promoting the launch of its new breakthrough line of Probiotic Dairy Free Yogurt Drinks. The company has also brought on board a small group comprised of actors, musicians, professional athletes and supermodel entrepreneurs who support the values of a plant-based lifestyle, including Jared Leto, Leonardo DiCaprio, Karlie Kloss, Shaun White, Tyler Hubbard and Brian Kelley, as well as entertainment advisory groups PLUS Capital and Big Loud Capital. As part of Califia’s partnership with its shareholders, the brand is proud to announce the sponsorship of Jared Leto’s 30 Seconds to Mars’ Monolith Tour this summer. Prior to the band taking stage, show-goers will experience a 90 second video introducing Califia’s namesake, Queen Califia, and her inspirational embodiment of the spirit of California. 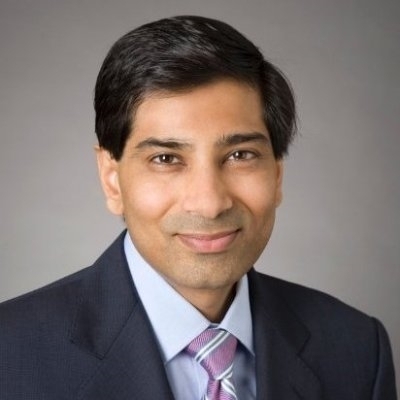 Patel joins Califia after 20 years in investment banking, where as a Managing Director at both Barclays and Goldman Sachs, he advised a broad range of corporate clients on important strategic and financing matters across the food and beverage, agriculture, and technology landscapes globally. He earned degrees in biology, economics and law from Williams College, Massachusetts Institute of Technology and Yale Law School, respectively. Ambrosia Investments is an investment firm focused on providing growth capital for disruptive brands and businesses in the food, beverage and ingredients industries across multiple geographies including Europe, United States and Asia. Founded by Serge Schoen, a seasoned operating executive, Ambrosia looks to bring entrepreneurial experience and advice to its portfolio companies, while also maintaining a long-term perspective. For more information on Ambrosia Investments, please visit www.ambrosiainv.com. Sun Pacific® is the owner of America’s most preferred brand of mandarins, Cuties®, and the number one kiwi brand in North America, Mighties™. They are also one the largest navel orange and table grape growers in California, with the exceptional brands Vintage Sweets® and Air Chief®. For more information on Sun Pacific, please visit www.sunpacific.com. Los Angeles-based Califia Farms has closed another round of funding that brought in over $50 million.